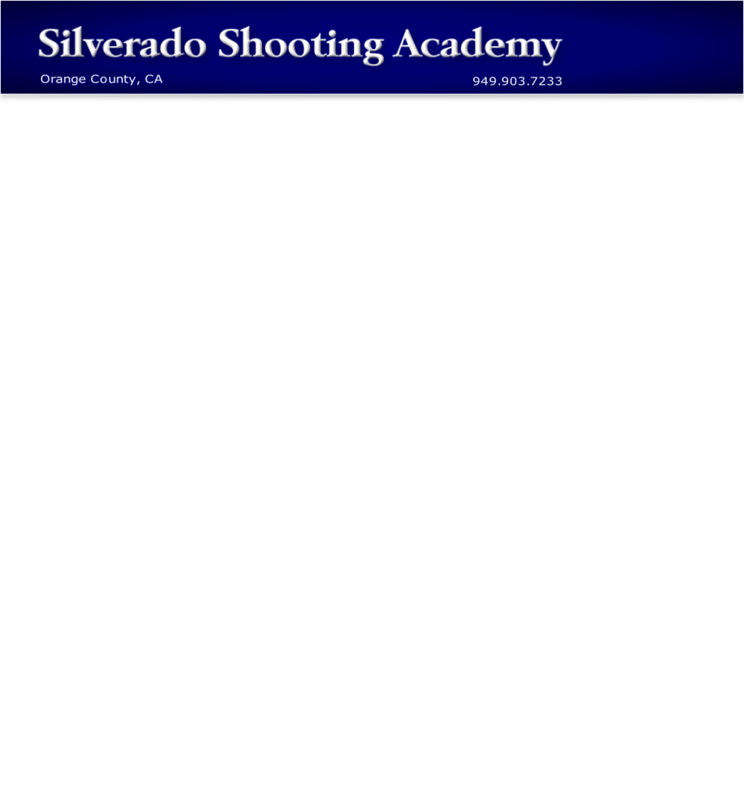 Course fees paid by check should be payable to the Silverado Shooting Academy and mailed to the business office address above. 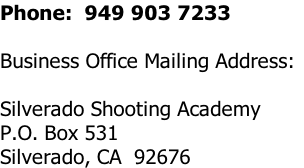 Write the course number and training date in the memo line of the check. Silverado is within a 25 minute drive from Irvine, Tustin, Orange, Anaheim, Villa Park, Yorba Linda, Lake Forest, Mission Viejo and Rancho Santa Margarita.